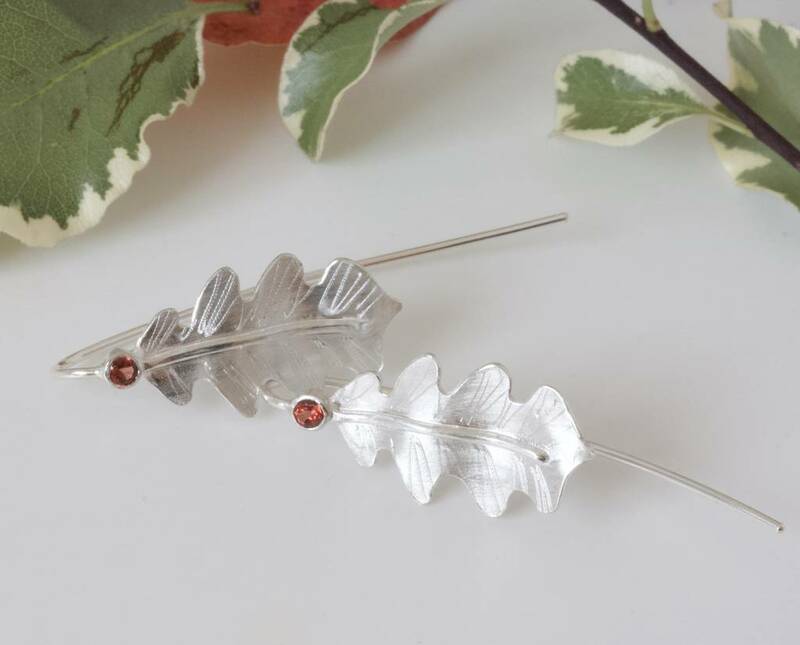 Simple and understated, our silver oak leaf earrings are ideal for any event. 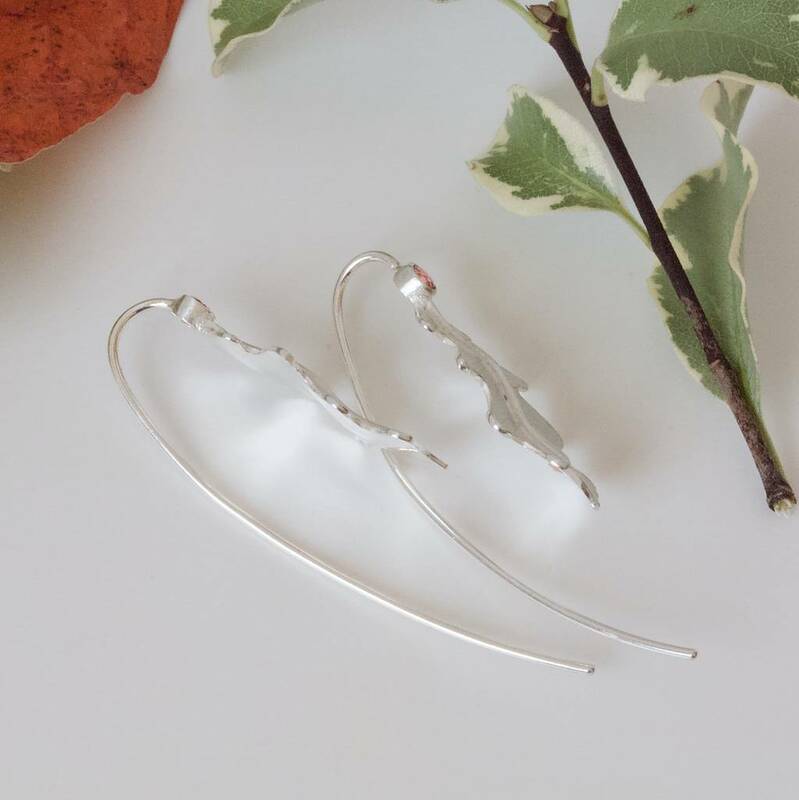 Made with the skill and love of Caroline Brook, each one has been crafted with care and finished with hand engraving. 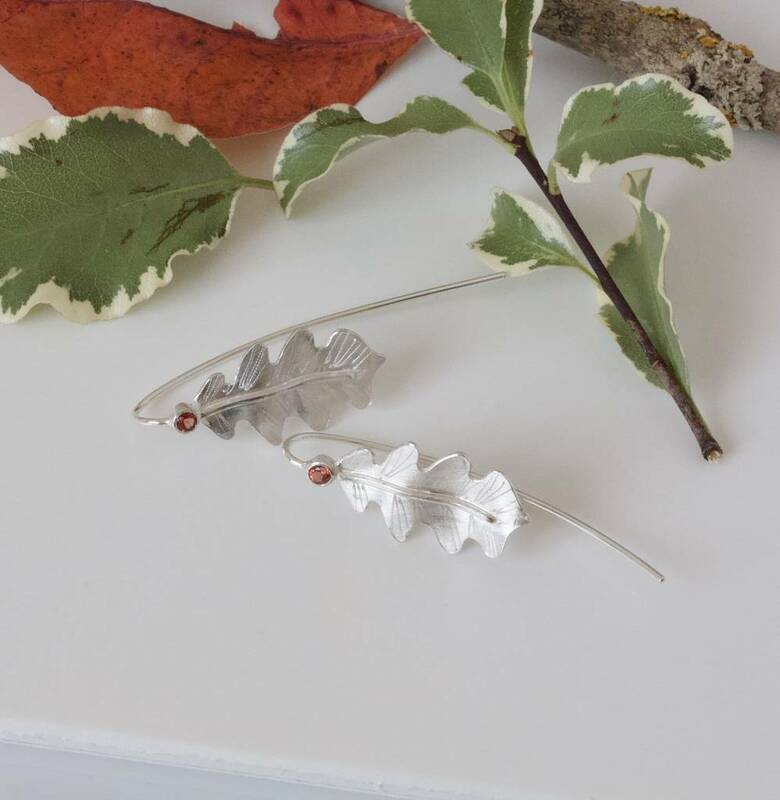 The satin finish leaves are created from sterling silver and naturally curved - seemingly plucked from a forest floor. 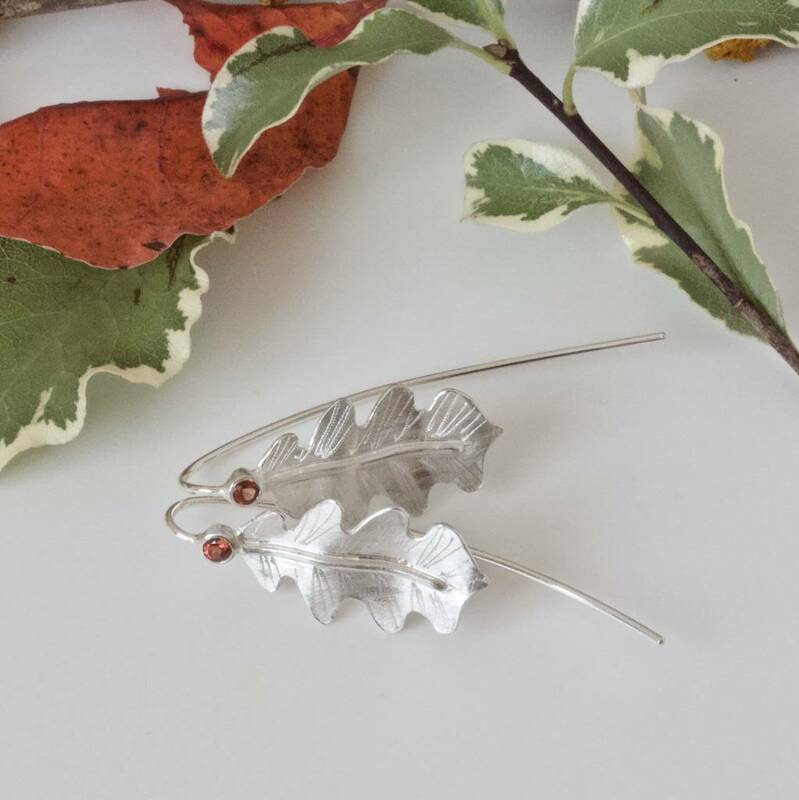 Pair this with two deeply toned and shimmering red Garnet stones for an accessory you're sure to adore. 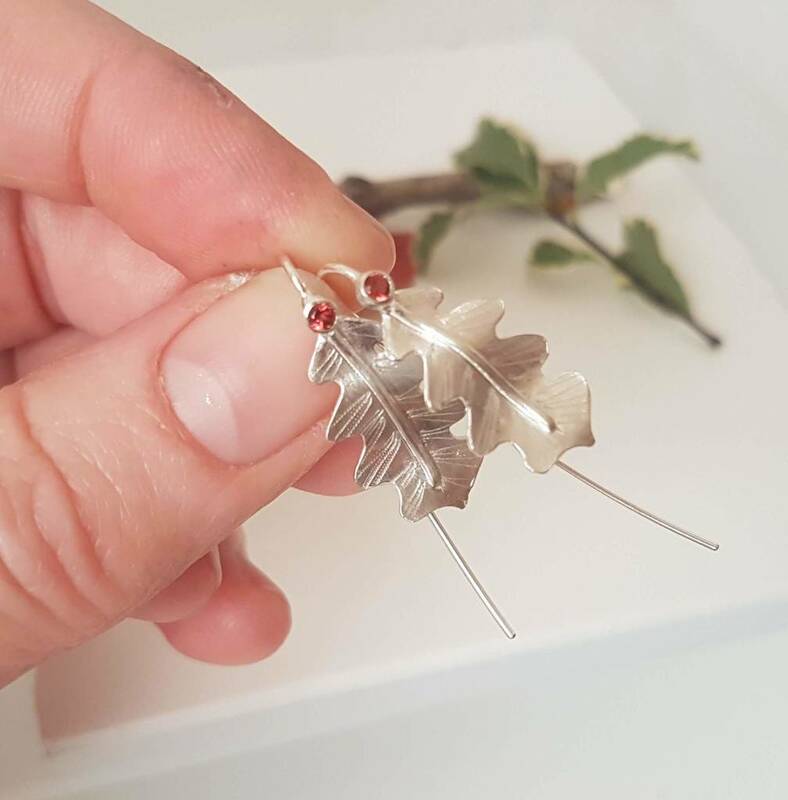 In line with the woodland theme, these regal gemstones seem to emulate the deep tones of plump berries, all ripe and ready for picking by hungry sparrows. 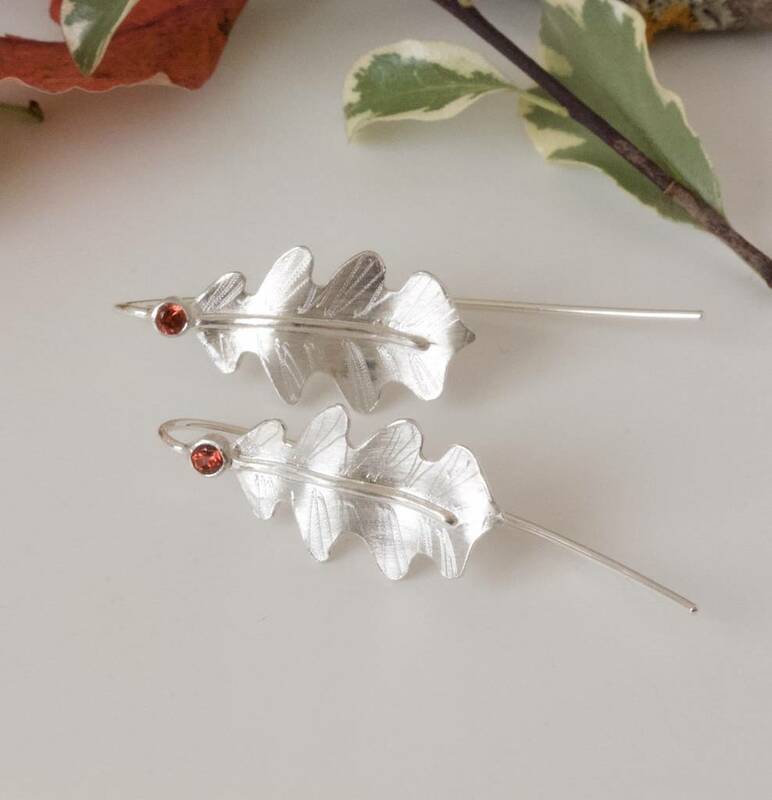 For comfort, these drop earrings glide through the ear with a long stem fitting and are as light as leaf so they won't feel heavy or pull on your ear. They sit well with all hairstyles from flowing locks through to professional upties and can carry you through any event. 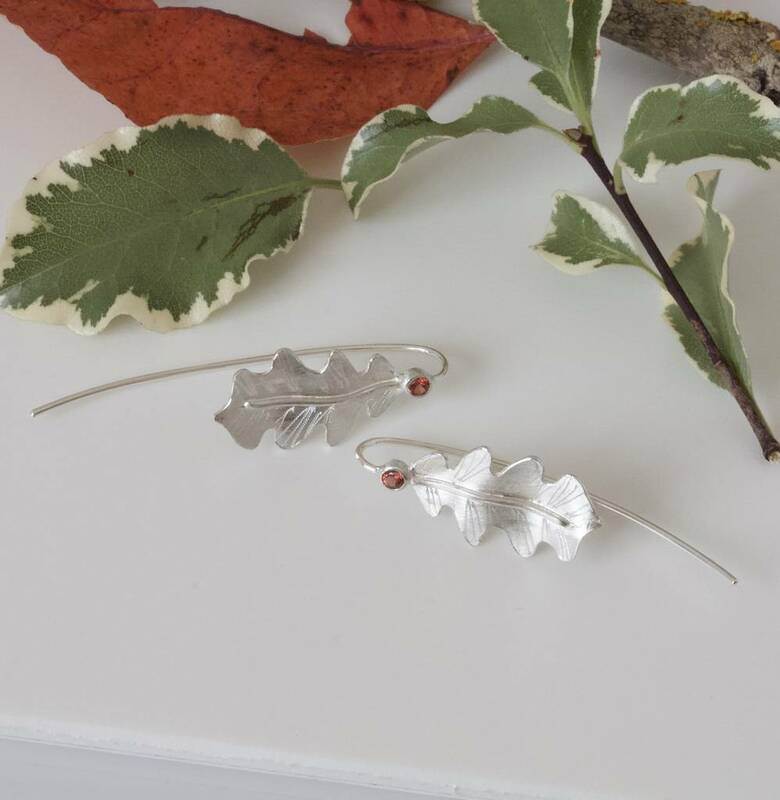 For those that love nature and woodland walks these woodland leaf earrings are something that will always bring joy either for yourself or as a special gift. 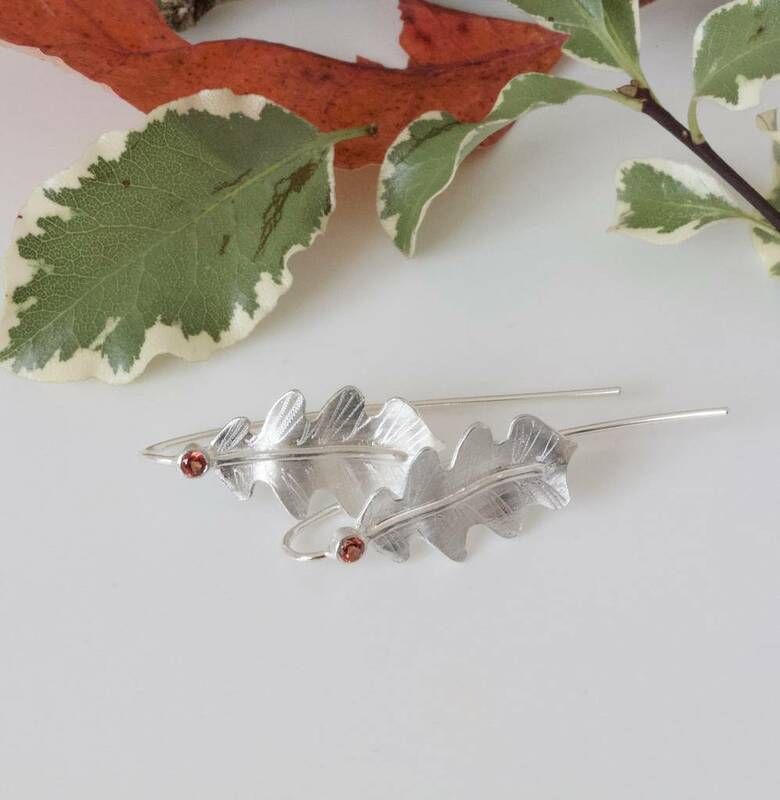 Available to order with Red Garnet, Green Peridot or White Zircon. Please message me if you would like a different colour stone. 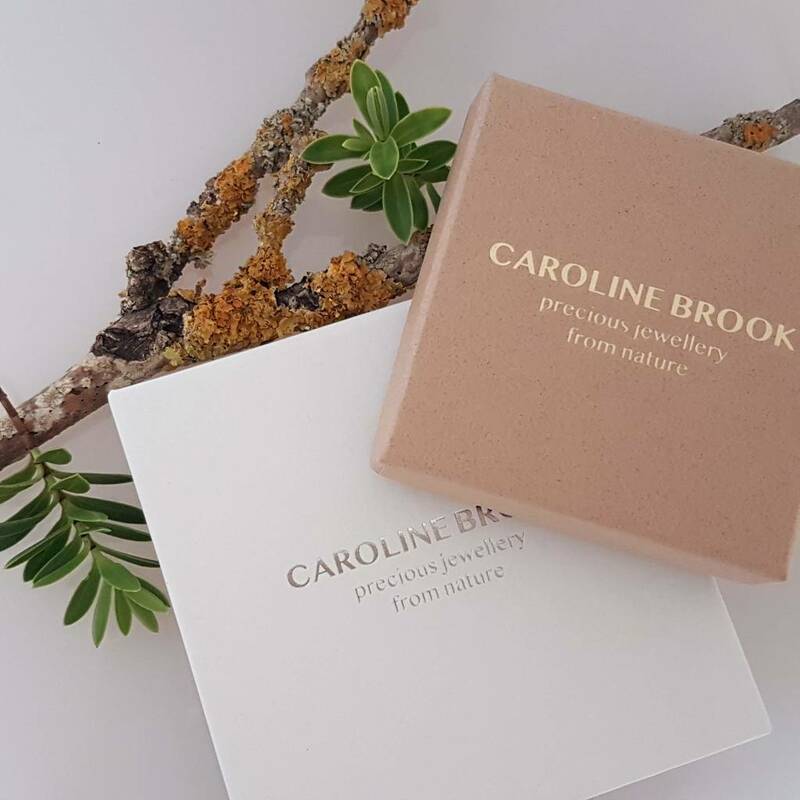 This product is dispatched to you by Caroline Brook.